GVTC Communications Archives · Stop the Cap! Despite a soft launch weeks earlier, Time Warner Cable officially began selling faster broadband packages in San Antonio Tuesday. Made possible by DOCSIS 3 upgrades (and not by “Time Warner’s fiber optic network” to quote one San Antonio news outlet), the cable company will now sell 30/5Mbps service for $20 above the current price of Standard Service. Customers looking for more speed can spend a lot more to get it — $99.95 a month buys you 50/5Mbps service, although the sting seems less if you bundle all of your Time Warner services through their $199 Signature Home package, which includes digital cable, broadband, and phone service. Signature Home includes 50/5Mbps as part of the package. About 70 percent of the San Antonio market can get the new speeds immediately. The rest will be upgraded by September. The upgrades are seen with some amusement by customers of GVTC, a former telephone cooperative that today provides fiber to the home service in parts of the Texas Hill Country and other rural areas to the north of San Antonio. They recently received speed upgrades from 40Mbps to 80Mbps downstream and 20Mbps upstream as part of a comparably-priced triple play package. GVTC’s truly fiber optic system was built to accommodate broadband usage growth. One thing GVTC customers don’t need and won’t get is the kind of consumption billing Time Warner Cable is reconsidering for their customers in San Antonio and the rest of the country. 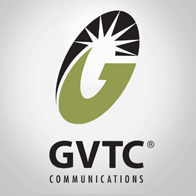 GVTC Communications yesterday launched 40Mbps service across its service area — the Hill Country north of San Antonio — marking a new broadband speed achievement for south Texas. The company providing the service is about to reap the rewards of a $35 million investment in a fiber-to-the-home network reaching 80 percent of customers in North San Antonio and the Hill Country. The new premium speed tier bests the company’s current 20Mbps service, and also includes 10Mbps upstream speed for $89.95 a month with a contract. GVTC says it can deliver even faster speeds, upwards of 100Mbps, but wants to see what kind of demand they have for 40Mbps service first. GVTC’s speeds will leave San Antonio’s Time Warner Cable and AT&T U-verse customers drooling. GVTC speeds achieve nearly twice the speed of either provider, and leaves them in the dust when comparing upload speeds. The company provides true fiber connections straight to customer homes, not the fiber-copper systems both cable and AT&T rely on. GVTC believes upstream speeds are particularly important for the area’s small businesses, as well as families with multimedia to share. AT&T U-verse last week announced a speed upgrade to 24Mbps service in San Antonio, but their upstream speed tops out at 3Mbps. Time Warner Cable currently provides San Antonio customers up to 15Mbps service with 2Mbps upstream speeds. Time Warner Cable spokesperson Jon Gary Herrera said the company will respond with an upgrade to DOCSIS 3 in San Antonio as soon as the first half of 2010. The upgrade, dubbed “Wideband” in marketing materials, will provide connections up to 50Mbps downstream and 5Mbps upstream.